Under Mollá’s leadership, the community has been recognized as one of the most progressive cross-cultural agencies, most recently named to Advertising Age’s 2015 Agency A-List. The agency’s work has also received acclaim with various CLIO Awards, Effie Awards, as well as honors and shortlists from Cannes Lions, El Ojo De Iberoamérica, DIENTE Argentina and much more. Mollá serves as the chairman of The One Club for Art and Copy and jury president of the Wave Festival in Brazil. His renowned ability to infuse culture and creativity will bring unique perspective to the Film Lions category, which awards traditional TV and cinema advertising. Sridhar is one of the most respected creative leaders in the Indian advertising industry, and joined SapientNitro last year after 17 years as Chief Creative Officer of Leo Burnett-India & Subcontinent. Sridhar led SapientNitro’s work for DBS Bank India on “Chilli Paneer 2,” a first-of-a kind interactive digital film series, recently recognized as the "Content Marketing Campaign of the Year” at the 2015 Content Marketing Summit and "Digital Campaign of the Year- 2014” by NDTV ‘All About Ads.’ Recently named to Campaign Asia’s prestigious Hall of Fame, Sridhar strengthens the jury in the Press Lions category, which awards content intended for published printed media. Chesnut is a frequent jury member at international awards ceremonies including MMA Global, Tomorrow Awards and South by Southwest. He leads some of SapientNitro’s most forward-looking capabilities that blend physical and the virtual experiences. Chesnut has received accolades for his work including One Show Interactive, Webby, and Red Dots, among others. As a Mobile Lions juror, Chesnut brings deep expertise in experience innovation, and a focus on using mobile to create immersive and innovative worlds where brands and consumers connect. Molla, Shridar and Chesnut will be joined by fellow jurors from across the Publicis.Sapient platform: Preethi Mariappan, Executive Creative Director from Razorfish Germany, will strengthen the jury in the Mobile Lions category. 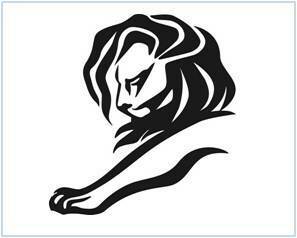 Natalie Lam, Executive Creative Director from Razorfish New York, will judge the Promo & Activation Lions category. And Baba Shetty, Chief Strategy & Media Officer, DigitasLBI, will join the Media Lions category.